"We truly enjoyed working with Rob Stewart. He honored the vision of our music and raised the bar of excellence. He was extremely helpful and great at communicating regularly with us. We look forward to working with him on our next album!" "I was referred to Rob by a friend, and for good reason. Rob's level of professionalism, communication, and involvement were refreshing and welcomed." Rob Stewart will prepare your music for distribution and broadcast over radio and streaming services like SoundCloud, Apple Music and Spotify. He has been serving independent musicians, bands and artists around the world since 2012, offering a range of music mastering and mix consulting services. Rob understands how much time and effort you put into making your music. Music mastering is a necessary step to ensure that your audio mixes will sound clear and balanced on the widest variety of playback systems. If you are planning to publish your music digitally such as a Mastered for iTunes release or on a CD, it is well worth the investment to have your songs professionally mastered. The audio mastering process brings out the depth, warmth and energy in your mixes which is what makes music fun to listen to. 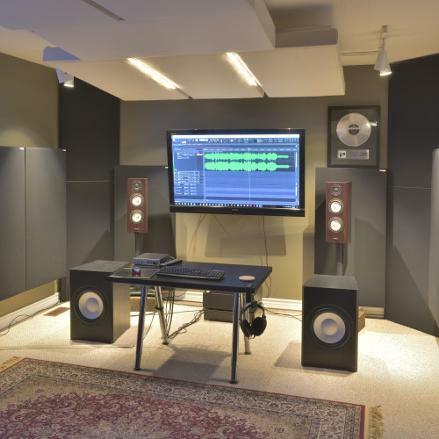 Audio mastering also aims to reduce aspects of your mix that listeners might not enjoy so much, such as noises, harshness or loud transients. By having your song professionally mastered, your mix will reach its maximum musical potential. Rob takes customer service very seriously, because the music mastering process is a collaborative effort between the producer and the mastering engineer. You can expect Rob to provide you with regular communication and reliable service. Rob believes in educating his clients on what it takes to make great sounding music, too. He regularly offers free advice and suggestions to visitors and clients, because he wants your music to sound as good as it possibly can. Please feel free to look around, or contact Rob any time if you have questions.